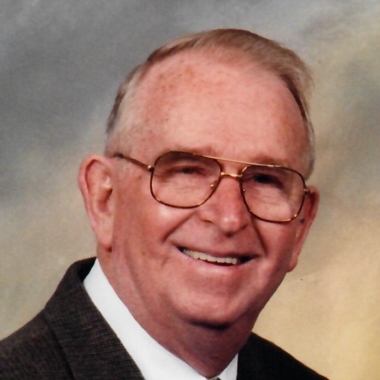 Earle Dexter Johnson, 91, of Bristol, beloved husband and best friend of Ruth (Nass) Johnson died Tuesday, November 6, 2018. Earle was born in North Conway, NH on February 7, 1927, the youngest of five siblings to Hazel (West) and Eber J. Johnson of Fryeburg, ME. Earle is survived by his wife of 61 years, Ruth, one daughter Lori Lynn Ethier and her husband Thomas of Torrington. Earle also leaves two nephews in Maine, a niece in North Carolina, and his close friend of over 30 years, Andy Garay. At an early age Earle moved to Poland Maine and was educated in local schools and Edward Little High School in Auburn Maine. He was inducted into the U.S. Army in 1945 and served 18 months including 14 months in Italy. After serving his country, Earle attended West Virginia University and graduated with a B.A. in History in 1952. After graduation Earle moved to Bristol, Connecticut and worked 35 years at the Marlin Rockwell division of TRW in Plainville. Shortly after moving to Connecticut, Earle met Ruth Nass, a Bristol girl, and they married January 18, 1958. Earle was an exceptional man who was true to himself. Honest and caring, a man of integrity. He had varied interests and talents. As a young man just out of military service, he starred as a left-handed pitcher in the semi-pro Pine Tree league of Mechanics Falls Maine. A lifelong Red Sox fan, Earle waited mostly patiently, until he was 77 years old for the Red Sox to win the world series. Earle was a talented cook, preparing his famous baked macaroni and cheese, short ribs, or a good pork roast for his family. We would all laugh when Dad would say, “this is my favorite meal,” at the end of almost every meal, because, they were all his favorite meals. Dad enjoyed a good glass of Scotch on a Saturday afternoon while listening to his music selection that ranged from Artie Shaw and Sergio Mendez to Steely Dan and Diana Krall. He enjoyed reading the Boston Globe on Sundays and was a diehard Democrat. Earle was truly loved and respected to all who were lucky enough to have known him. Above all Earle will be remembered as a devoted husband to his wife Ruth and loving father to his daughter Lori. He treasured his family and we treasured him. We will miss him dearly. Funeral and burial are private at the convenience of the family. Funk Funeral Home, 35 Bellevue Ave., Bristol, is assisting the family. Please visit Earle’s memorial web-site at www.FunkFuneralHome.com.